Ben Kane is an agent for the CIA. 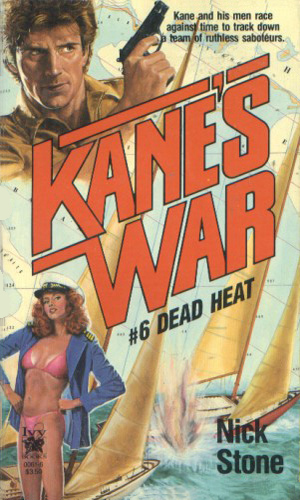 Kane was a highly decorated river boat captain in the Vietnam War. When it ended, he moved back to his beloved Caribbean waters to find work and found it in the employ of Cord Weaver, a CIA operative he had met in Vietnam. 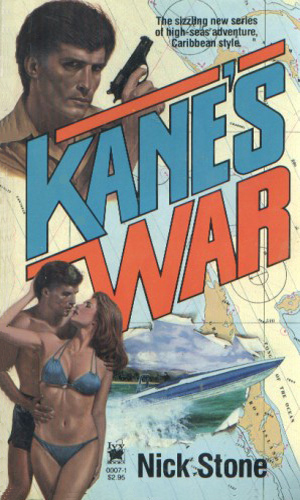 Weaver needed someone who could haul items from one island to another and Kane was the perfect man for the job. Each mission, though, became more and more dangerous and less like a simple transport service. As his life was constantly put on the line, Kane decided enough was enough. Weaver wasn't having any of it, though. The final mission was playing a gun runner to Cuban-back rebels in Central America. 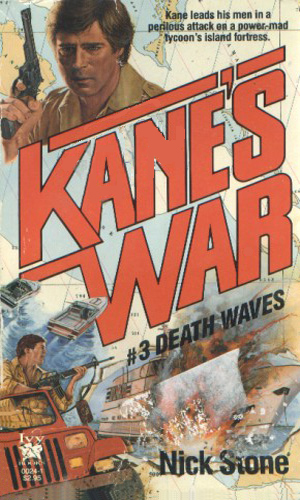 When the rebels try a double-cross and promised backup by the CIA never showed, Kane barely survived. It marked the end of his employment with the Agency. It also marked the end, in an explosion, of a million or so rebel dollars. 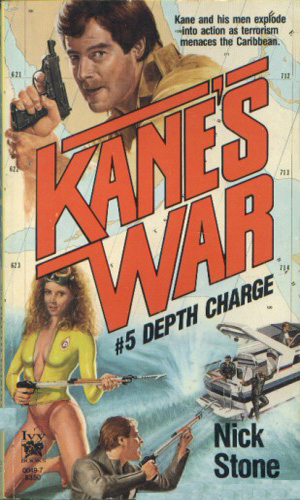 And suddenly Kane had the funds to buy his own boats to truly start his sailing and deep-sea fishing operation. Life would finally be peaceful. 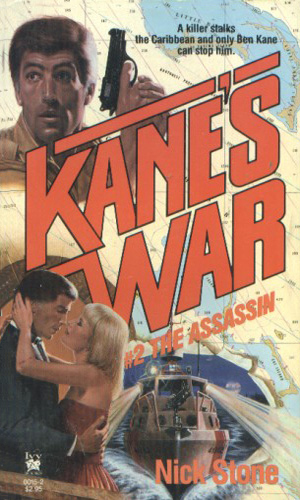 As the series starts, Kane enjoys his life owning a charter boat service with an occasional side trip to find, buy, and deliver yachts for wealthy clients. He lives aboard a 50-foot twin-mast Chinese junk called the Wu Li with his two parrots, Andy and Sandy, and does not miss the old days whatsoever. This is that time that Weaver comes back into Kane’s life and proves there is never retirement for people like Kane. 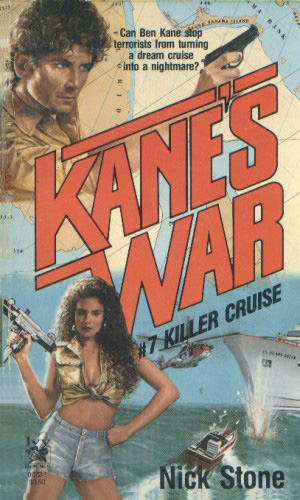 The CIA wants Ben Kane's help to stop a smuggling operation in the Caribbean but Kane refuses. Then one of his boats goes missing with the beautiful Michelle onboard and now Kane has a reason to take on the smugglers. The Senator was the leading candidate for President when word comes to the CIA that the KGB has sent an assassin to eliminate him while he vacations in the Caribbean. Ben Kane is the best man on location to save the politician. The Facility is a retreat where the ultra rich can go to be cured of their various addictions in private. It is also the place where they are changed in ways they would never have approved. The founder has a scheme for gaining vast power and he won't let Ben Kane get in his way. Hijacked Cuban cocaine shipments are being turned into cheap, deadly crack and flooding the Caribbean islands causing considerable suffering. The CIA push Ben Kane into taking part in the destruction of the drug gang behind it. Neptune's Palace was an incredible getaway spot for the very rich - a resort completely submerged and accessible only by scuba. A terrorist group is determined to see it destroyed and the owners turn to Ben Kane to stop them. A highly contested sailing race is the venue for a plan to smuggle top secret information to the Soviets. With a team of trained killers working to thin the competitor field, Ben Kane finds it hard to stay alive long enough to stop the KGB. A Communist group is opposed to an exchange of political prisoners between the U.S. and Cuba and they take over a new luxurious cruise ship to mount an attack. It is up to Ben Kane to not only see the exchange takes place but also save the valuable ship and its passengers. These are just plain fun. You get to like Kane immediately. You learn his friends and his enemies quickly, although exacterly where the CIA agent Weaver fits in those two groups is never truly settled. You get a ton of action with some crazy but enjoyable plots. Kane would have made a great action movie character. The books are packaged much like the Nick Carter books, beautiful women on the cover (never a bad thing) along with speeding cars or boats or planes, and always a gun somewhere. This is to entice people like me to pick them up, which, of course, I did. Inside, though, was some darned good tales.